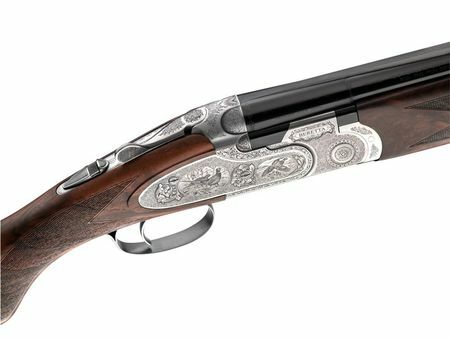 The Beretta Diana side-by-side shotgun is an example of what can be achieved when no limit is placed on the gunmaker's and engraver's virtuosity: the result is much more than a work of art--it is nothing less than a part of gunmaking history. 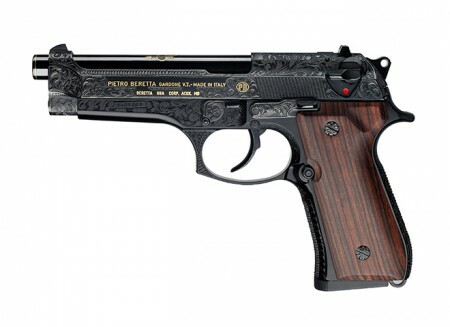 For this reason, the Diana is the absolute top of Beretta's line, and it is crafted in very small quantities for the world's most exclusive clientele. To the outside, it features a superior-quality external-hammer action, with hundreds of hours of engraving by top artists who carry a living tradition going back to the time of Dante and Petrarch. To the inside, the Diana works like a custom-made watch, with every part lovingly fitted by hand by artisans who boast centuries-old father-son generations of Northern Italian gunmakers. In short, owning a Diana is like owning the modern equivalent of an original big-name Renaissance sculpture. 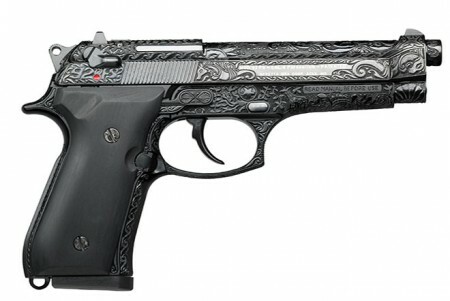 The compact receiver (48-mm plate) features a fine ribbon border that outlines the side- and floor-plates, and together with the unique design of the top moldings, gives the gun a distinctive look and an elegant balance of forms. The double ribbing in the top moldings also matches the design of the exposed hammers. After initial cutting from a steel Ni-Cr-Mo ingot, the receiver takes shape through patient, accurate chiseling and extensive smooth refinement by file and emery cloth. Lug fitting, polishing, finishing: all is executed by hand with near-maniacal care. English scrollwork, hunting scenes, floral motifs, deep relief, mixed technique engravings, portraits and more--any type of engraving is possible on an Diana. 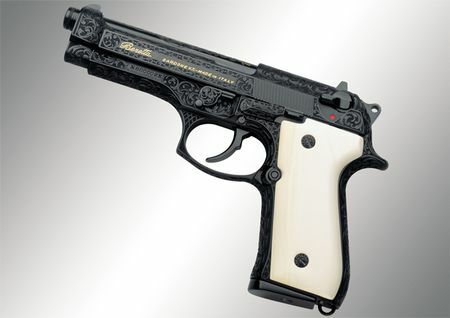 It is executed only by the most expert master engravers dedicating themselves heart and soul to the project. From the development of a subject or theme with the client to the preparation of samples (that the client can keep, on request); from the acceptance of a design to the actual engraving, each step is a testimony to the total and absolute dedication of the master engraver whose signature will leave an indelible legacy for generations to come. The true sidelocks feature a rebounding-hammers firing mechanism, refined and retouched until the desired trigger pull and optimal safety operation is achieved. Once the engraving is completed, the receiver is subjected to a special hardening treatment that guarantees an elevated level of durability and resistance while not altering the appearance of the artwork. The precision of the triple compass-turn lug fitting and the double locking bolt on the Demibloc lugs guarantees durability while requiring minimal force to open the top lever. 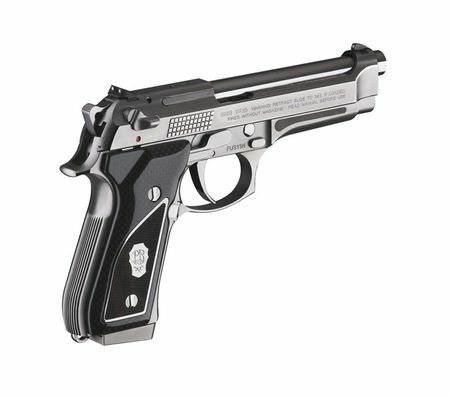 The internal parts may be mirror polished or jewelled at the discretion of the client, who may also choose between a double trigger with an articulated front trigger or a single selective trigger. The Diana side-by-side features newly designed external hammers, completely crafted and refined by hand, and harmoniously inserted onto the receiver. The extractors are manual. 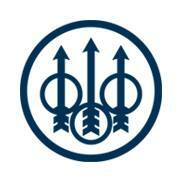 The Diana barrels embody all the qualities that make their performance simply unequalled. The special steel used ensures extremely high resistance and outstanding tensile strength. The precise drilling and turning of the bars, the drilling of the bores, the internal lapping and external hand-finishing, the joining of the Demibloc barrels and the soldering of the ribs--all of this is done by hand, and the process does not stop until absolute perfection is reached. Finish is a specially-resistant deep blue, while red-damask blueing is also available. Custom made to the client's measurements and using only the highest quality walnut briar, the stock can be crafted into various shapes: English stock in classic or swan style, full or half pistol grip; classic, splinter fore-end, beavertail or other configurations. An overhanging crown of laurels is inlaid in gold, while the stock and fore-end are finely hand checkered and finished in oil or highly polished by applying numerous hands of wax. The final result will astonish even the most refined connoisseur, and be a unique piece of artwork on a par with something seen in a museum.